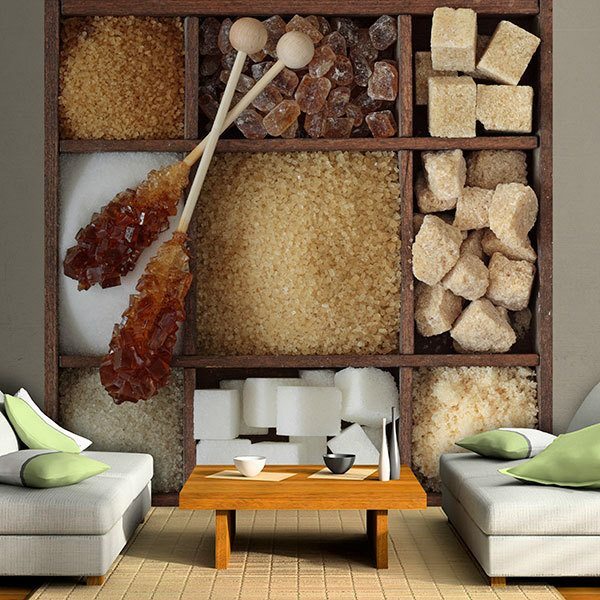 Wall mural Collage Sugar Assortment. 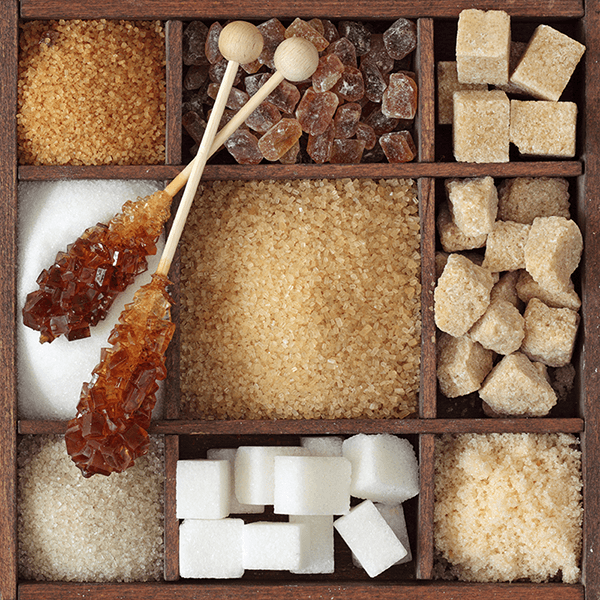 Pleasant composition of a wood separator with different types of sugar. 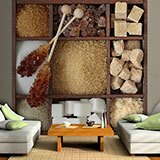 The variety includes white sugar, panela, brown sugar, lumps, molasses sugar, muscovado, candy sugar or rock sugar. 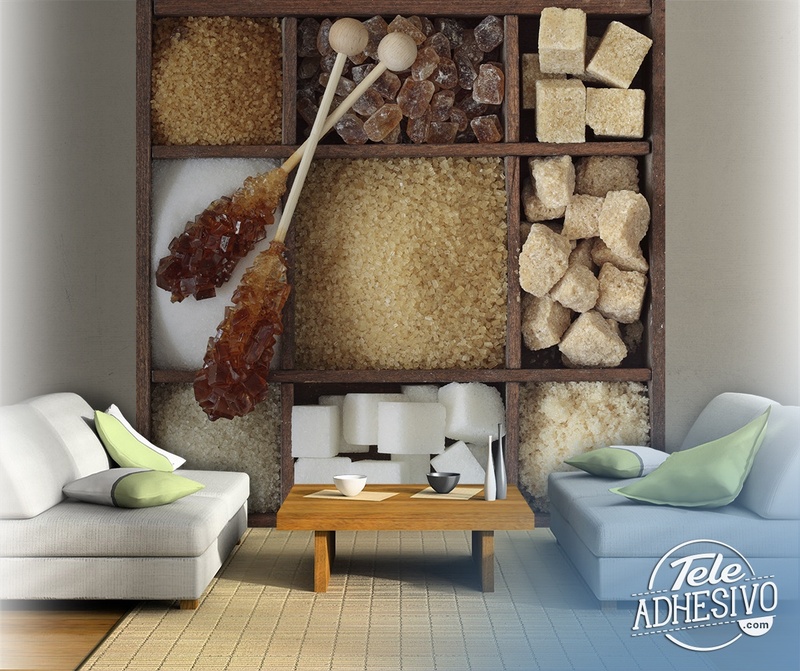 Fantastic for decorating a cafeteria or kitchen.